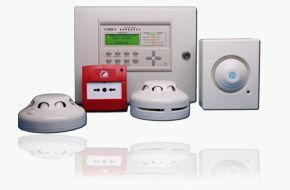 The Safety Centre are one of the UK’s leading suppliers of fire alarm system equipment in the UK. As part of our product portfolio we have wireless fire alarm systems suitable for use in HMO buildings. For more information on our HMO Wireless Fire Alarm System equipment call us NOW on 01200 428 410 or use our Livechat facility below. Often fire officers our building control personnel will advise landlords that they need a BS5839 compliant fire alarm system. There are different grades of systems which may be asked for ranging from Grades A through to F and categories ranging from LD1, LD2 and LD3. The Safety Centre has equipment suitable for all types of systems which may be asked for. Quite often for buildings over three storeys a Grade A LD2 system may be requested. Depending on the type of building a hard-wired system may be extremely difficult to install. We have a range of wireless fire alarm system equipment suitable for use in HMO buildings which are quick and easy to install. The Zerio Plus system from Electro Detectors is suitable for achieving a Grade A LD2 BS5839 fire alarm system. This system is available in 8, 20 and 100 zone versions. To compliment the panel range there is a selection of detectors, call points, sounder, beacons and interfaces available. If you’re interested in this range of equipment you may also be interested in our Fire Alarm Log Book and Emergency Lighting Log Book ranges.